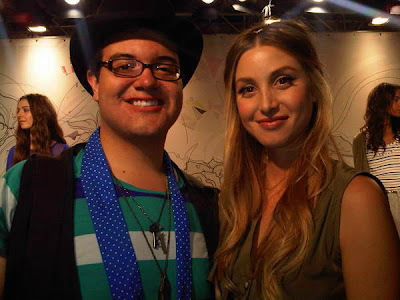 OJ&B Meets Whitney Port at Whitney Eve Spring/Summer 2011 Presentation! I have been saying for the longest time that OJ&B and I really need to be on a reality show! This fashion week I came pretty close to it at Whitney Port's Spring/Summer presentation for her clothing line Whitney Eve. Port, who is the star of MTV's The City by way of The Hills, was right in the thick of her presentation held at Industria Studios in the Meatpacking District as she made sure that the clothes were on her models to her liking and that her models were having a good time. Above: Whitney Port being hands on with her Spring/Summer 2011 collection. "Just be loose and have fun." was some advice that I overheard Port give to one of her models. I overheard Whitney being very concerned that her models were having fun and was nice enough to return smiles to those who were watching her do her thing. She may or may not have been filming for another season of The city as there were cameras and boom mics galore. The Whitney Eve S/S 11 collection showed a mix of menswear inspired jackets and pants that were still feminine and flirty as well as girly dresses that packed a punch in sherbert orange and pale pinks that are perfect for spring. 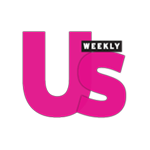 There were a lot of oranges, pinks, reds, and red-oranges shown this Fashion Week (everyone wants to celebrate their love for OJ&B). It seems that the the color trends bounced right off the make up and nails color trend from this spring/summer and right onto the clothes for S/S 11. Above: Menswear inspired looks from Whitney Eve S/S 11. Below: Feminine dresses in fun colors. In the entire presentation there were two models that really stood out from all the other girls that were showing off the clothes. They were both totally working it and being fierce the entire time, especially when a camera or camera phone was pointed in their direction. One had an amazing look and the other totally dominated with her Olsen-esque appeal. Above: This girl was super fierce and I told her that she was amazing! Below: This girl was working the shades and her inner Olsen occasionally playing with her hair and having a just-another-day attitude about her. I love it! Congrats to Whitney for a really beautiful collection! Let me know when you need me to be on The City as the resident fashion blogger. What Whit? You say you need drama? Well... there were whispers from some people in the crowd not believing that Port actually designs the collection. I am sure they are just haters though because I totally believe that you do! There, Dramz! HAHA. Above: Lights, camera, Whitney! Port with some of her special guests. Recognize any of them from the show?